Coarsely chop two plums; place in a small saucepan. Add water; bring to a boil. Reduce heat; simmer, uncovered, 10-15 minutes or until plums are softened and liquid is almost evaporated. Cool slightly. Transfer to a food processor; add ketchup, chipotle, sugar and oil. Process until pureed. Reserve 3/4 cup sauce for serving. Sprinkle salmon with salt; place on a greased grill rack, skin side up. Grill, covered, over medium heat until fish just begins to flake easily with a fork, about 10 minutes. Brush with remaining sauce during last 3 minutes. Slice remaining plums. 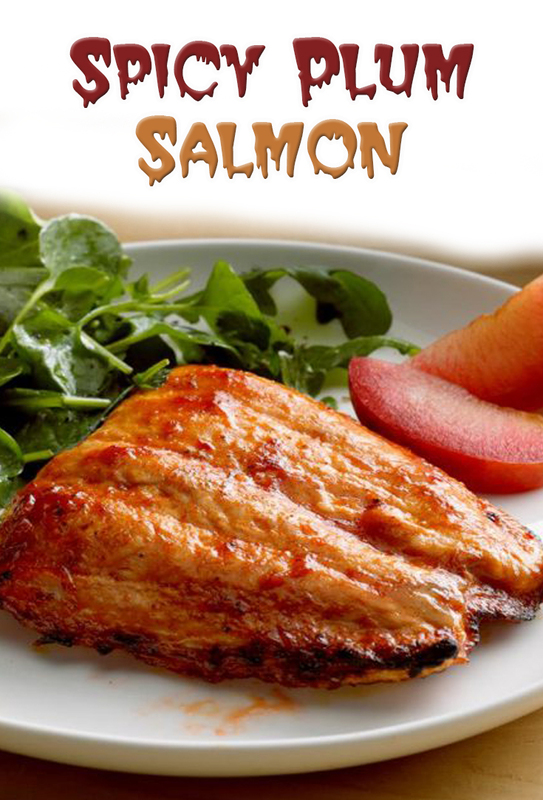 Serve salmon with plum slices and reserved sauce.